The month was July 2012. I had just quit my job to study with nothing much to do. I stumbled upon a blog review while searching randomly for some articles on acne treatment. Suddenly these blog posts on swatches, EOTD, tutorials, pigments, make up brushes completely enticed me into a different world. It also shocked me as I realised I had been wearing eyeshadow for the last 10 years without using a brush or even blending. I had always been more of a skincare gal who always used to have some random neutral lipstick, eye shadow and the cheapest Lakme foundation in my kit. 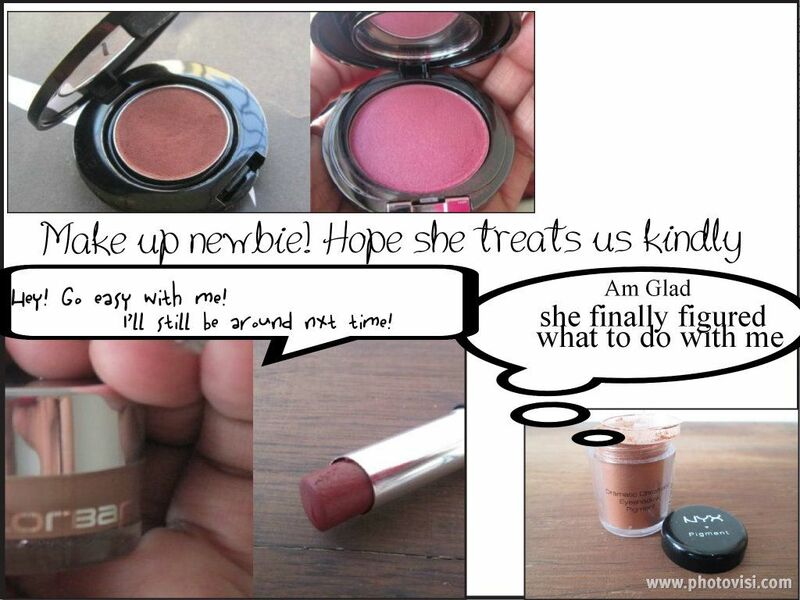 I have had lipstick binges, but it has always been more ‘its-on-sale’ rather than liking makeup. I found myself like a kid in a candy store combing reviews, online beauty stores, discounts to put together some make-up essentials. Of course, no journey can be complete without some makeup disasters. For a recent wedding, I did what I thought, was a very ‘avant garde’ purple smokey eye accented with purple glitter eyeliner. My mom swears it made me look like a weird racoon. When I got home I realised that the purple glitter had peeled off patches of the eyeshadow! Over the months, my make-up choices have mellowed. I am no longer the excited little kid trying everything in the palette on my eyelid. I know what shades of eye shadow looks good on my skin and how to work with my eye shape rather than just follow a trend blindly. It’s still hard to pick five favourite products but here are my most used and most loved 5! Faces Blush and Eye shadow – I reach for this almost every day. Colorbar concealer – Some days I just dab concealer over my spots, some powder and I am ready to go! heya ,visit our page for Korean cosmetics- etude house, tony moly, skinfood etc !! we deliver to any place in India!Do check out our facebook page http://www.facebook.com/belletheboutique ! !